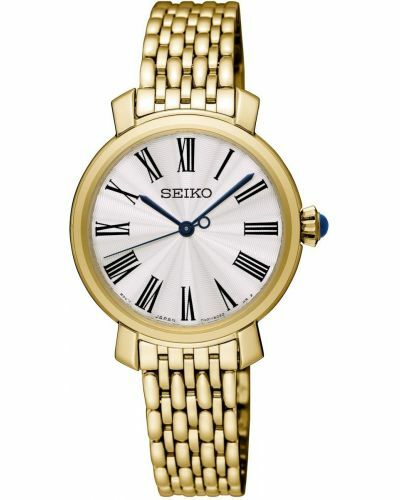 This beautiful womens watch from Seiko has subtle rose gold plated case, hands and indexes, set against a cream dial. 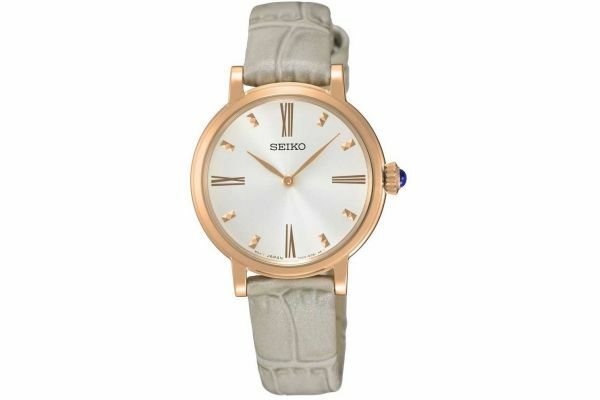 The leather strap is almost a grey beige with croc print texture. Slim, it sits perfectly on the wrist and is perfect for day or night wear. This watch is battery powered and comes with a 2 year guarantee.